A Case for Private Equity Investors in P&C Transactions - Parry Sound Insurance Brokers Ltd. When it comes to Property and Casualty (P&C) brokerage consolidation activity, I think most industry participants would say that it has primarily been driven by underwriters. Their low cost of capital and desire to protect premium revenue has led to intense competition and record pricing of brokerages and books of business. 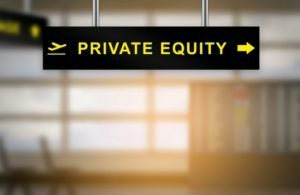 While underwriters have had significant impact on the pricing of P&C books of business, it is our view that private equity (PE) investors are increasingly becoming a dominant player, at least as far as new transactions are concerned. In 2017, 604 P&C insurance transactions were announced in the US and Canada. Of these, 382 (this represents over 63%) of them were completed by PE firms or PE-owned brokerages. Although it might not appear to matter who is participating in the marketplace, if you’re in the market to either buy or sell a brokerage, there are unique dynamics if a PE firm is involved. Knowing the PE investors’ strategy is important. As a starting point, we need to have a basic understanding of what private equity is, and the financial structure behind it. In the context of the P&C industry, private equity is generally capital raised from wealthy individuals, pensions funds and large private investment firms that is used to buy shares of private brokerage companies. Their objective is generally focused towards earning a good return on their investment by implementing value creation strategies to grow the business’ top and bottom line, and then selling for a profit in say four to seven years. While it is not uncommon for a smaller PE firm to buy a single brokerage, it is more likely the PE investor will buy a large brokerage and then work to grow the business through acquisitions. A couple good examples of PE-owned brokerages would be HUB and Acrisure. Given the current pricing of brokerages, one might reasonably think there is not enough upside in terms of ongoing return and ultimate divestiture of the P&C investment. As mentioned previously, the facts indicate otherwise. Let’s consider what is so appealing about the P&C market and why it is attracting so much interest from PE investors. P&C distribution is profitable. A well-managed operation can earn a 30 to 40 percent operating profit margin (EBITDA). Customer retention or stickiness tends to be over 90%. This significantly reduces investment risk. The P&C market is large, which creates opportunities for growth. None of this is news to those already in the Industry. PE firms still must compete to acquire brokerages, then they must deal with the challenges everyone faces when trying to increase profits. Challenges aside, PE firms are gaining considerable traction in the industry and we think there are some important lessons to learn from their success. First, they are good at identifying potential acquisitions and thus avoiding expensive brokerage auctions where they might be forced to compete with others on price and deal terms. Second, they manage brokerage operations in a dispassionate and professional manner which might include exiting markets that are not profitable, eliminating unnecessary expenses and streamlining processes. And third, they introduce professional sales and operational management that can remain in place after they choose to exit. It is our view that, in most cases, brokerage owners should always try to run at least some form of auction when exiting. This generally results in the top available price and best terms. Having said that, there are some unique features of PE firms or PE-owned brokerages that can make them a viable option for those considering a divestiture. We generally include PE investors in all our larger processes. One of the more attractive features of PE transactions is that there is often an opportunity to stay invested. Many PE firms or PE-owned brokerages both allow and encourage the divesting shareholders to maintain an equity interest either directly in their current brokerage or in another entity that will participate in the fair market value growth of the overall business. If the circumstances are right, this gives the owner a chance to take some capital off the table and then increase the value of their remaining interest through the advantages of a larger and more professionally-managed organization. We regularly have discussions with our clients during a divestiture process and find that they are initially reluctant to remain invested. Our first step is to discuss the alternatives, which might include investing their proceeds into the public stock market. As we all know, the public markets offer liquidity but little or no control. The next step is to better understand and analyze the potential opportunities and risks related to staying invested. In some cases, staying invested is the right choice. It is important to understand the complexities of dealing with private equity firms. They are generally sophisticated investors with considerable experience in negotiating deals. Their due diligence process is detailed and time consuming. And finally there is added complexity if you plan to roll over some of your equity interest. If you have made the decision to stay invested, you should engage professional advisors to ensure you understand the terms for the deal. Special care should be taken to understand how your investment will be valued and when you can cash out. While you must be careful, our experience on transactions with PE firms and PE-owned brokerages has been very positive. For the most part, we have found them to be professional and act in good faith. As always, we are both interested in learning more about current market dynamics, as well as sharing information about the current state of the P&C industry. Feel free to call or contact Smythe Advisory Partner, Mike Berris at 604-694-7548 or mberris@smythecpa.com. The post A Case for Private Equity Investors in P&C Transactions appeared first on insBlogs.